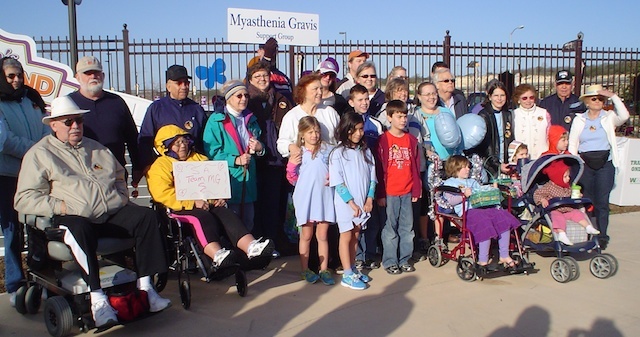 Myasthenia Gravis (MG) is one of 43 known neuromuscular diseases. 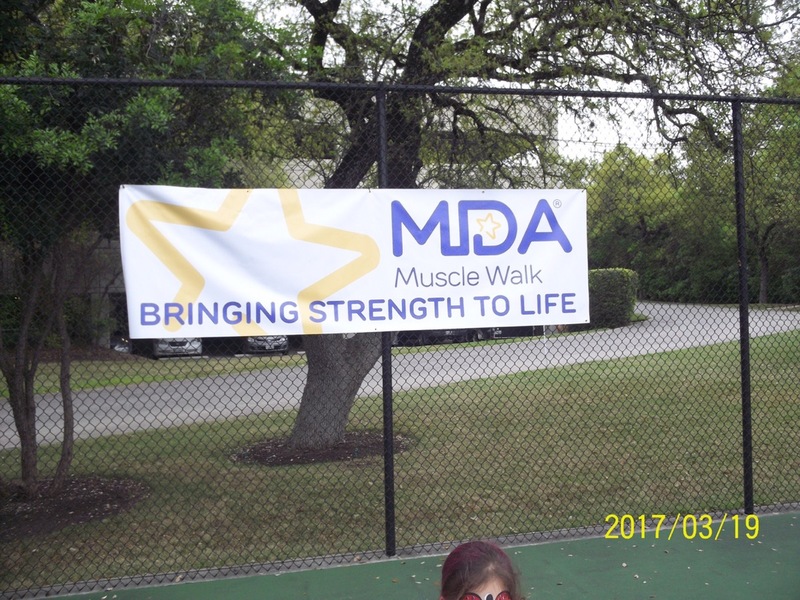 Information about MG and other neuromuscular diseases can be found at the Muscular Dystrophy Association. 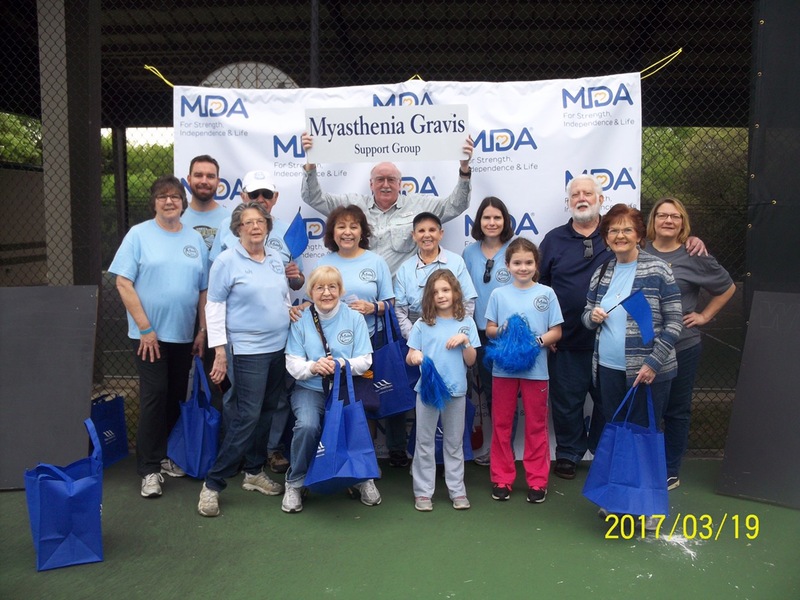 Myasthenia Gravis Foundation of America (MGFA) is a great source of information about MG.
June is National Myasthenia Gravis Awareness Month. Read this great, easy to read article. Advocacy for Patients with Chronic Illness, Inc. will help patients regardless of their ability to pay. Rare diseases are not rare to those who have them. Learn more at the National Organization for Rare Diseases. 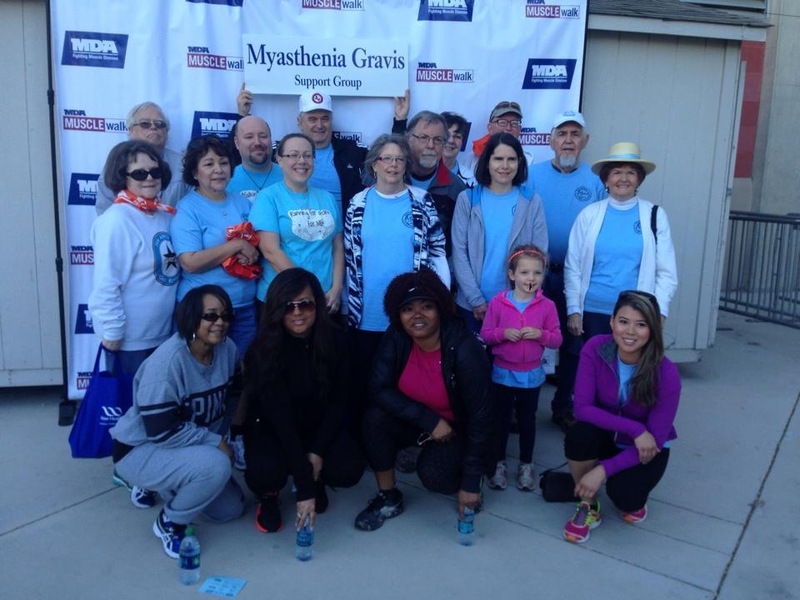 Read A Short History of Myasthenia Gravis. Article in MySA on how a local support group helps others. What is Plasmapheresis (aka PLEX or Pheresis)? 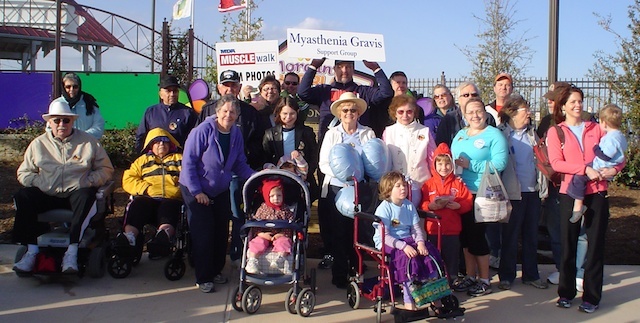 Our Support Group participated in this year’s MDA Muscle Walk held at Morgan’s Wonderland on Saturday, March 3, 2012. Members raised a total of $7,511.00 to support the cause for finding a cure for MG and related medical conditions. Here are two group photos of some of those that participated in the walk.